Everyone has a credit report and should be checked, once a year. In 2015, nearly 270 million Americans have credit files. A high credit rating provides the consumer with lower interest rates for a variety of loans, including a lower cost for a mortgage, and more available credit. Often, landlords use credit ratings, accepting or denying new tenants. Unfortunately or advantageous, many businesses evaluate credit ratings, when hiring employees, and evaluating to underwrite insurance policies. Some states, don’t allow insurers to use credit scores, and more states are considering new legislation, prohibiting the use of credit score information. Which score is the most important? Your Vital Credit Score – What Helps and What Hurts? The three top credit agencies are Experian (1-888-EXPERIAN), Equifax (1-800-685-1111) and TransUnion. Each (1-800-888-4213) tracks consumer credit ratings. These agencies monitor, the amount owed and paid on credit cards, payment history, any time someone has been sued, debt load, and types of debts owed. According to the Fair Credit Reporting Act, anyone can get a free access credit history, from any agency, once a year. A copy of the credit report should be obtained, from each agency, since each one, reports independently. Information, believed to be false, must be proven by documentation to the credit agency, update their records. This will enhance your credit rating. Credit Agencies have thirty days to investigate your complaint. Statistically seen, thirty percent error rate, on credit reporting. If your credit information cannot be resolved, contact Federal Trade Commission: 1 – 877 – FTC – HELP). Credit agencies measure a person’s credit rating by FICO score (credit score) from 375 – 900. About eleven percent surveyed population ranks above a score of 800, and twenty-nine percent between 750 – 799. All the lives we are evaluated and assessed by numbers and values. From primary school to adulthood we do our best and get branded by a value. These values often have a substantial impact on our futures and that can be really intimidating. Credit scores are the continuation of grades in our adult life and sometimes they can be confusing. So here are some common questions and answers concerning credit scoring. Your credit score is a representation of your ability to pay your bills. It has nothing to do with income or history of employment. Anyone who is going to give you something and trusts that you will pay them later like car dealerships or banks look at your credit score to determine whether or not you are someone who can make payments. There are a variety of different credit scores but they all follow a similar numerical range. With a few exceptions, scores typically range from a 300, which is incredibly bad, to an 850, which is astronomically good. What is a really good score? Well, 680 is sort of the bare minimum score, think of it as a low B. 720 and higher is typically considered a good score and everything above 750 is brilliant. There are many different brands that offer credit scoring and some of them even offer several different scores of their own. So which one is best? Well, in the credit scoring world FICO is top dog. FICO scores are the most widely used by lenders. However, FICO provides 49 different scores that lenders can look at. The good news is that a credit score is really a pretty straight forward mathematically determined number. However, we don’t know what know the exact formula is because organizations like FICO keep them confidential. 35% is your payment history. This is the biggest factor and thus the most important. This is everything involving the payments, bills, mortgages, and loans of your past. Any late payments will show up here. 30% is the credit you use. Your score is positively impacted here by paying off debts. 15% is the length of your credit history. The longer the better. 10% are the different types of credit you use. The more variety the better. 10% is represented by your recent searches for credit. The less the better. There are a variety of ways you can improve your credit score. One easy way is to simply wait. An impactful aspect of the scoring system is timeliness. For instance, if you’ve recently been late on some payments, waiting a year or two before you apply for something that requires good credit can improve your score. This is because your more recent occurrences are weighted more than old ones. While you wait, make payments on time and pay off your debts. However, if you are in debt, you may find it necessary to use an organization to help you. While settlement and consolidation groups don’t claim to help you with your credit score, organizations like Consolidated Credit offer you planning and advice that may help you make your debt more manageable. Understanding credit scoring is a major advantage when it comes to building good credit and making you a reliable bill payer. Even a simple understanding of the basics goes a long way in improving your chances with lenders. Thirty-five percent of the credit score, evaluated by the history of payment schedule, and timely payment amount. Missing one payment could reduce a credit score by 50 – 100 points, and worse, missing a month of payments, could reduce your credit score substantially. At least, make the minimum payment, avoiding lowering credit score. In the future, minimum credit card payments will mostly double. Enhancing, your credit score by reducing or eliminating debt owed, compared to the amount of total credit limits. The wider or different amount reflects a better credit rating or score. Owning a credit card increases your credit availability. A credit agency will total amount of credit availability, by adding all credit cards owned. If a credit card is canceled, reduces the amount of credit available and reduces credit score. Consolidated to fewer credit cards, actually more harmful, than helpful. However, having many credit cards is risky, if anyone is stolen or lost. Besides temptation using, credit cards. Having many years, perfectly paying on time, credit card payments or bills accounts for fifteen percent, of the credit score. Inquiry history, for new credit, reduces credit score. The opposite is favorable, pursuing fewer or no credit, provides a better score. Credit agencies interpret, actively seeking credit inquiries, maybe incur financial difficulties, and accounts for ten percent, credit score. Your credit rating may go down if the other person defaults on the loan or unable to pay on time, credit card payment. During a marriage, the husband and wife should have their own credit card. Unfortunately, an event of a divorce or death, a joint credit card, could render the other credit card holder, responsible for the debt and may lower their credit rating, if payment is not paid, on time. Bankruptcy reduces credit score rating by 200 or more points and stays on the record up to ten years. Contact a consumer credit counseling service. Foremost, provide advise helping to consolidate credit card payments, and likely reduce the interest rate. In the long term, building a higher credit score. There are a variety of benefits that come with having a good credit score that can affect many areas of your life. These can include your financial health, professional life, where you live, and much more. If you already have a good credit score, it is important to maintain it. If your credit score is less than perfect, the following information may offer just the right motivation to help you get started on the road to building a great credit score. The most obvious benefit of having a great credit score is being able to qualify for low interest credit and loans. This means that if you make a purchase that requires financing, you will save on the amount you repay. Depending on how low the interest rate is, this can add up to thousands of dollars saved on interest charges when purchasing large items, such as a home or vehicle. A great credit score will also make it much easier to qualify for credit in general. A good credit score translates to more purchasing power. Searching for that perfect new home is a fun and exciting adventure, at least when you have good credit. Sadly, if your credit is less than perfect, you may have a difficult time getting approved for a rental home. Most property owners and property management companies will run your credit report to see if you are a good risk. If your credit score is poor, you will probably be declined and the property offered to another applicant with a better credit score. Although having a great credit score will not get you a job by itself, having a bad credit score can keep you from being hired. Many employers now run a background and credit history of applicants. If your credit score is very poor, or you have a bankruptcy or delinquent accounts on your credit report, an employer may decide to offer the job to another applicant with a better credit history. Rather than having accounts become delinquent, using credit consolidation can help to reduce the number of monthly payments you have and lower your interest rates, allowing you to pay off your balances faster. It can also help you to avoid having accounts end up in collections. Like many employers, the majority of insurance companies also use your credit score as part of their method when calculating your premium. Statistically, people with poor credit are more likely to file claims than those with high credit scores, so insurers typically charge those with poor credit higher premiums. If you have an outstanding credit score, you can avoid paying high-security deposits on items such as cell phone and utility service. Cell phone providers can charge as much as $800 in deposits if a person has a poor credit history. Utility providers may also charge deposits of up to $200 or more, depending on estimated usage and the extent of your negative credit history. By maintaining a good credit score, you can avoid these expensive and inconvenient deposits altogether! If you are struggling with debt and plan to finance a major purchase in the next 6 to 12 months, credit consolidation might be your best bet. Credit card balance transfers and credit card consolidation loans can help you reduce debt while avoiding damage to your credit score. You also gain several benefits: lower interest rates, reduced number of monthly payments, and most importantly, you will preserve your credit rating! Your credit score is the major factor determining your interest rates and creditworthiness. A good credit score can save you thousands, perhaps hundreds of thousands of dollars in interest payments throughout your life. Why is your credit score extremely important? It demonstrates to lenders how likely you’ll repay your debts. The major credit monitoring companies use a complex series of algorithms along with additional factors to determine your credit score. You don’t need to spend months hopelessly trying to figure out their formula; the tips in this article can help you improve your credit score. A history of prompt credit card payments, or at least the minimum amount due, helps your credit score. Paying down an installment loan, such as a car loan, pleases credit monitoring companies; it shows responsible debt management. Good credit management improves your credit scores and decreases borrowing costs. Your payment history is the biggest factor determining your FICO credit score, a three digit number, used to determine how much you can borrow and the terms. Experts report your payment history accounts for 35 percent of your FICO score. Repairing your credit score begins with your credit report. Financial experts recommend checking your credit report once a year at AnnualCreditReport.com. Make sure there are no late payments incorrectly listed on your accounts. Pay on time, every time because lenders review your repayment pattern. Craig Watts, consumer affairs manager for Fair Isaac Corp., says after repairing errors, the fastest route to a better score is paying down balances on credit cards. Paying down credit lines during a two month period substantially boosts your credit score. Amounts owed accounts for 30 percent of your FICO score. If you have a bad credit history, open new credit accounts and pay them on time to increase your credit score in the long term. Keeping a couple of your oldest credit cards open demonstrates a long credit history. Transfer balances from credit cards close to hitting their limits to other cards to even out your credit usage. Canceling unnecessary credit cards may hurt your debt-to-credit ratio. The debt-to-credit-ratio is the amount of available debt you’re using divided by the total amount of available credit. Canceling credit cards lowers your total available credit. Regarding the credit bureaus, using less than half of your aggregate credit limit helps your score. Some experts suggest people should use less than 25 percent of their available credit. Instead of canceling credit cards you rarely use, occasionally buy things with them and quickly pay them off; this way the credit cards you thought about eliminating keep helping your credit score. Opening numerous credit accounts in a short period of time may harm your credit score, especially if you don’t have a long-established credit history. Every time you apply for a new line of credit the application counts as an inquiry which may lower your score. Avoid opening up a retail card account just to get a discount. Experts report maxing out credit cards can drop your credit score 10 to 45 points. If your debt/credit ratio dramatically increases, but you’ve not extended a new line of credit, your score will drop. Unpaid bills and delinquent payments on utility, cable, medical and other bills lower your credit score. Hanks and Mike Peterson, an American Credit Foundation spokesman, both believe a credit card with a zero balance due to inactivity is a bad thing. A sudden surge in new credit requests, a red flag for credit bureaus, drops your credit score. This typically happens when people apply for more than one line of credit within a short period of time. For example, applying for a couple of credit cards in a given month, followed by a car loan two months later and a consolidation loan the next month easily leads to a plummeting credit score. Few people are aware that the utility companies are also entitled to report bad credit to the bureaus. Some realtors and brokers also report missed or late rentals to the bureaus. So, it pays to keep up with financial commitments. In fact, the only real way to avoid a bad score is to pay your bills on time. While it is possible to repair a bad credit score it is easier said than done. It takes a lot of commitment and a lot of time to repair a bad score. It may even prove to be quite costly if payments are not made on time during the repairing process. There are ways to avoid creating a bad credit history that will lead to computing a bad score. Each time you default on a repayment towards debt, the lender reports the missed or late payment to the credit bureaus. The bureaus then use this information to calculate your credit score each month. The more you default the worse your score grows. Lenders have access to this score and if you have a bad credit score they will either reject your application for a loan outright or they will charge you a much higher rate of interest. So, it pays to have a healthy credit score. Lenders make a profit by charging interest on the money they lend people. This interest is determined by the lender based on market conditions and the creditworthiness of the borrower. 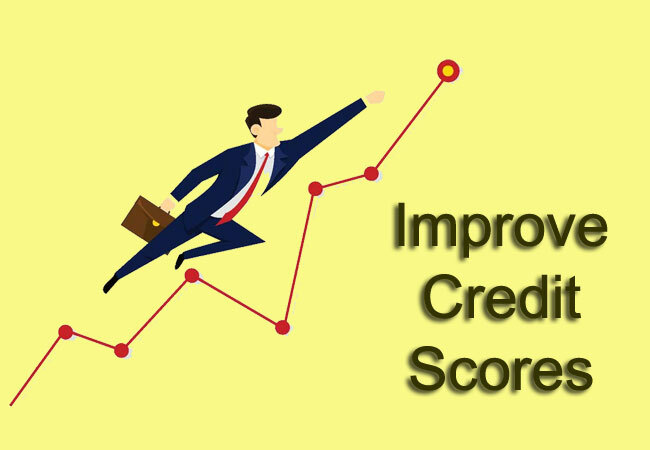 They base their decision on the credit score of the applicant and, depending on the score; they may charge a normal interest or increase it if the score is bad. If your credit history already has existing defaults, odds are lenders will not approve the settlement for standard loans. Under this circumstance, it can be assumed that the next available loan you can opt for is bad credit personal loans for personal financial issues. Albeit at a higher interest rate and possibly a much stricter and consistent check up on your payment progress, personal loans for bad credit are a better option as credit cards can be very ambiguous with their terms, whereas loans are followed through by brokers or bank representatives. If you feel that you are falling back on your financial commitments, you should take time off and sit down to plan out a budget. Prevention is better than cure and preventing your credit history from going bad is very important if you want to avail of any type of loan in the future. Begin with listing all your expenses for the month. Do not forget to include expenses that come once a year such as a birthday and Christmas gifts, insurance premiums and any other annual expense. Divide the amount by 12 to make it look like a monthly expense for budgeting purposes. Prioritize expenses such as school fees, rations, staples, utility bills, and mortgages and of course – credit card bills. First, clear these expenses then consider savings and then other unimportant expenses that can be put off anyway. Keeping abreast with your regular payments will help avoid bad credit. If you have credit cards, you should make it a rule of thumb to never spend more than 10 percent of the credit the card offers. Card companies offer you all kinds of sops to use the card, nevertheless, use the card judiciously. It is easier to repay the 10 percent in installments than it will be to max the card and repay the minimum 10 percent of the billed amount each month. This will result in you paying over half the amount in interest alone and is the beginning of an impending debt trap. In short, live frugally and within your means. This will ensure that you are able to meet all your financial obligations and build a great credit history leaving future finance options open and waiting for you should you ever need them. You probably know that if you want to have a good credit score, you need to pay your bills on time and keep your debt level as low as possible. What you may not know, however, is that there are other things that make up part of your credit score that you may not know about. Although they may not seem like that big of a deal, they can actually affect your credit score in a big way. You may think that having no debt or very little debt is a good thing, but not having any debt can actually hurt your credit score. When you are applying for a mortgage or a car loan, the lending institutions base their decision not only on the amount of money that you earn each month, but they also look for a good number on your credit score. If your credit file does not show any activity or very little activity, this will actually give you a lower number. If you have no debt, applying for a credit card and using it to make small purchases that you pay off each month will actually help your credit score to go up. If there is not enough money from a paycheck to pay all the bills, many people pay the more important ones, such as their mortgage payment, car payment, and utilities, but avoid paying the smaller debts that they owe. As an example, you order a book from a book club, but then fail to pay for the book when the bill comes in. Although the company itself does not usually report you to the credit reference agencies (Experian, Equifax, CallCredit), once your outstanding debt is turned over to a collection agency, they often report your account as delinquent. This not only shows up in your credit file but also lowers your score. While utility companies do not typically report your payment history to the credit reference agencies, they will report accounts that do not pay. This means that if you move and forget to pay your final water or electric bill, once the utility company has deemed that you have a delinquent account with them, it will appear in your credit file. Many department stores often inquire as to whether you would like to open an account with their store when you make a purchase. Since they often offer a discount for opening an account, many people take advantage of this offer with the intent of paying back the amount when the bill comes in. Unfortunately, the department store card not only shows up on your credit report as a new account but as a revolving charge account it actually pulls even more points from your score. Although your business credit card shows the name of your business when you use it, the credit history of the business actually appears as part of your personal credit. This means that not only does your business payment history appear, but the amount of debt the business has is also used to determine your credit score. One of the most overlooked items that can affect your credit score is mistakes that can appear in your credit file. Check your credit file at least twice a year to look for inaccuracies. Things to look for include; accounts that you have closed, but still appear open. Payments recorded as late even though they were paid on time, or someone’s credit other than yours appearing on your credit report. If you discover there is a mistake, send a written statement to the credit reference agency and request that they remove it. Your credit score will improve once the mistakes are corrected. Most of us have come to realize over recent years just how important our credit rating is when it comes to our financial future. Our credit rating can affect everything from being able to get a mortgage, loan or credit card to be able to rent a home and in some cases get a job. There are many common things that we know can adversely affect our credit rating, such as paying bills late, missing payments, defaulting on debts, and failing to meet the financial obligations that we have set up. Hard enquiries are those that are made by companies when doing details checks on your credit. These checks are often done when you apply for credit such as a loan or credit card. However, there are other ways in which hard enquiries can be generated, such as if you ask for a credit increase on an existing account, when you apply for a bank account and even if you pay for something like car rental and pay with a credit card. Too many of these hard enquiries within a twelve month period can damage your credit, so you need to be mindful of these. Your credit to balance ratio is very important when it comes to your credit rating and status. This refers to the amount of credit that you have available to you versus the amount of credit you have used. So, if you have a credit card with a limit of £1000 and have only used $300 of it that would look good on your score. However, if your card is constantly on the brink of being maxed out this can look bad. You have to be mindful, however, that it is not just spending on your card that can affect your credit to balance ratio. Something as simple as your provider reducing your credit limit can also affect it, which can then look bad on your report. Many people are under the impression that being able to get credit through in house financing from companies (such as that offered by placed such as furniture stores) is a step in the right direction to improving their credit and getting finance that they need. However, this is often looked upon as credit for those who cannot get finance from traditional lenders and can make it difficult to get traditional finance in the future. As times get tougher, it becomes even more difficult for many of us to iron out our finances. The good news, however, is that the introduction of the Internet has given rise to a number of online programs and websites that allows you to monitor your spending without needing to spend an arm and a leg. Thankfully, the Internet abounds with free and affordable sites and applications that can help with your finances. Depending on what you need, you can scour through hundreds of different programs. Don’t have the time? Not to worry…we’ve rounded up some of the best ones for you. A number of free web sites help tens of thousands of individuals work out the best way of effectively creating and sticking to an allotted budget as well as monitoring credit card expenses. Additionally, these sites provide you with a hassle-free way to streamline all your expenses and investments. Mint.com has created a secure financial support program to more than a million members who are enjoying the benefits of connecting all their accounts into a single location. Perhaps the greatest draw of this website is that it is compatible with any server and it automatically sends important alerts and notifications to its members. Geezeo.com – harnessing the popularity of social websites, Geezeo.com has created a platform that allows its users to interact and share insights on different financial issues. While the site still contains the basic requisites of a financial site, it also helps you get in touch with a community of individuals like you who are looking to attain financial freedom and liquidity. Other than creating a budget, a host of different websites are likewise available to help individuals map out a financial plan to go beyond your current finances, and also help provide a structure for your future investments and retirement plans. Moneystream.com – best known for having its very own financial adviser named Sophie, SimpliFi.net has simplified the way you can plan on your retirement and how to work towards a debt-free future. By evaluating just how much you spend versus how much you save, this website will help guide you towards your financial goal through the use of GPA’s, or Grade Point Averages, running from A+ to F.
Planwithvoyant.com – for those in need of financial and investment forecasts, Planwithvoyant.com created a step by step guide that will run you through each and every process of financial planning. Their online community also gives you the opportunity to interact with financial gurus near you. As people are always in search of objectivity when it comes to their finances, a number of websites allow investors to track and compare their financial portfolios. PersonalCapital.com – a financial tracking site that allows you to look at the state of your investments and compare your own portfolio with that of your contemporaries. Through its blog tracker, the website also allows you to keep track of Wall Street and tips from financial gurus as well as access similar online information. WealthFront.com – this is another site that allows investors to track and assess their finances and investments with ease. Armed with their easy comparison tools, the users are given the convenience of having their own watch list of other users to see how they fare with their own similar financial investments. If this comprehensive list of online tools doesn’t help you get your finances in order, then brother, you need an accounting team fast!